For our second Manchester show of the series we’re taking over Hidden with two of the finest selectors in the game – both given extended sets across two rooms to really stretch those legs. Move D takes over the main space – one of those DJs who has refined his style so far as to have an almost trademark, unmistakably ‘Move D’ blissed-out quality across every record placed on the platter. 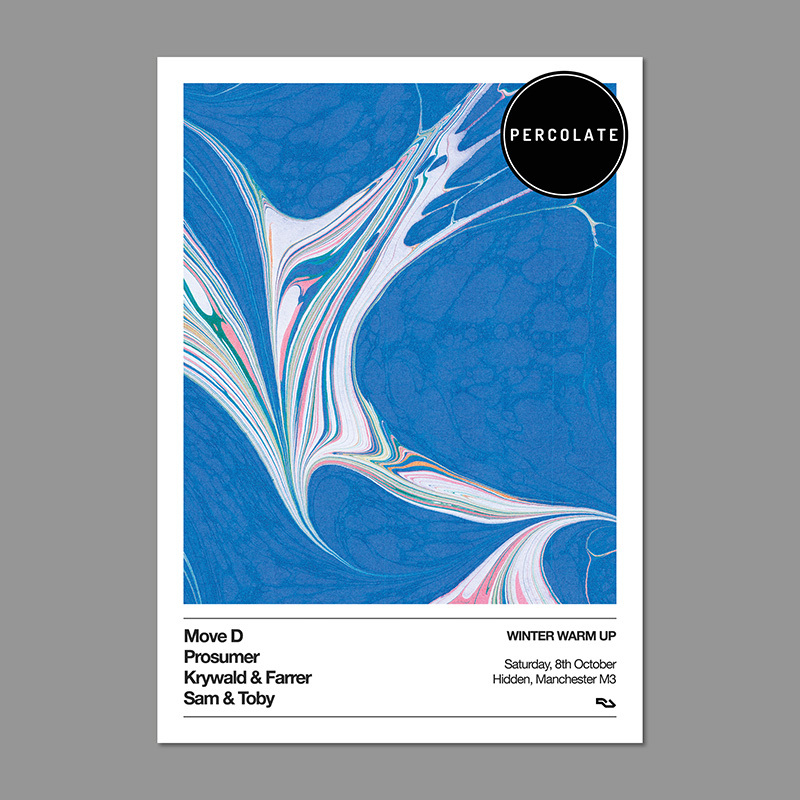 Plus a record bag (even) deeper than his choice of reds and an uncanny knack for those dancefloor slaying curveballs – we’re incredibly excited to welcome David Moufang to Percolate for the first time. Meanwhile room two see’s the imitable Prosumer delving deep. An ear for disco and house gems like few others, a knack for sequencing unlike many – and a fun dancefloor streak uniquely his. We reckon this one could be more than a bit special.